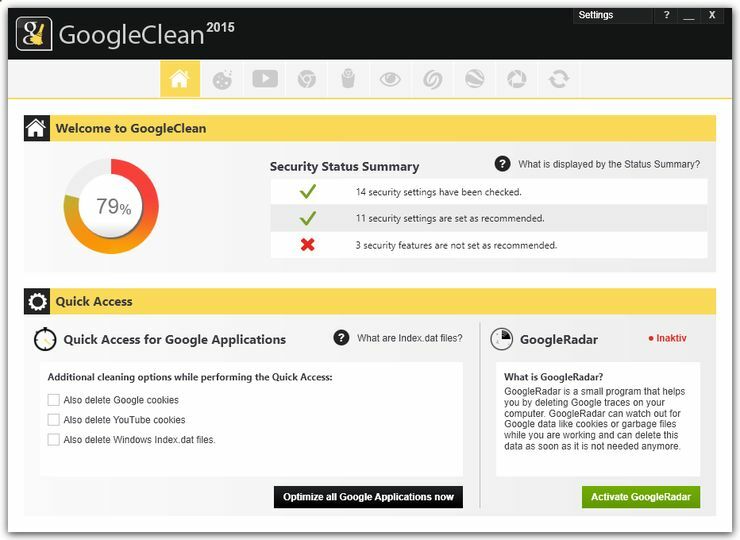 GoogleClean is a tool that can remove Google applications from your computer. Some people are paranoid about how powerful Google has become, and don't like the idea of Google hoarding data about them and their activities. This program is for those people. It can delete traces of Google applications on your PC. Alternatively it can simply turn off features in Google applications that send data back to the search giant.